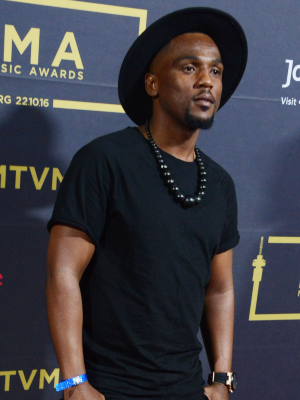 Nomvula hit maker Nathi Mankayi appeared in the magistrate's court in Alexandra, Johannesburg after spending a night in prison following his arrest in connection with an alleged business robbery. The singer spent a night in prison at Bramley police station in Johannesburg on Monday after he was arrested for an alleged business robbery that he reportedly committed last year with two of his friends, according to reports. It is believed that Mankayi, along with two his friends, robbed the offices of his former boss China Mpololo last year. Speaking to DRUM, NPA spokesperson Phindi Mjonondwane confirmed that Nathi appeared at an Alexandra court on 9 April on provisional charges of theft and assault. She noted that the trio was then released on warning and are due to appear back in court on April 30 2019. Bramley station spokesperson Captain Molefe Mogodi confirmed that the singer was arrested and spent a night in one of the cells. The sensational singer rose to stardom in 2015 with his hit single Nomvula that left the nation in complete awe of his majestic voice. This came after years of trying to break into the industry following his release from prison in the Eastern Cape for good behavior, after he was arrested for robbery.